God blesses churches with many resources – people, time and money – and He expects us to be good stewards with what He provides. Members tithe on their income to support the operation of the ministry, making it even more important to be good stewards and manage financial resources responsibly. So what is the definition of stewardship? According to dictionary.com, Stewardship is, “the responsible overseeing and protection of something considered worth caring for and preserving“. In the church, stewardship is the responsible oversight of church funds, property and equipment. The first important step to good stewardship is knowing why you exist and what you are trying to accomplish. This is done by creating a mission, vision and values statement that articulates the purpose of the church and what it hopes to achieve as an organization. This important first step sets the direction and decision making model for the ministry. The next step is to create an annual church budget that funds the vision. 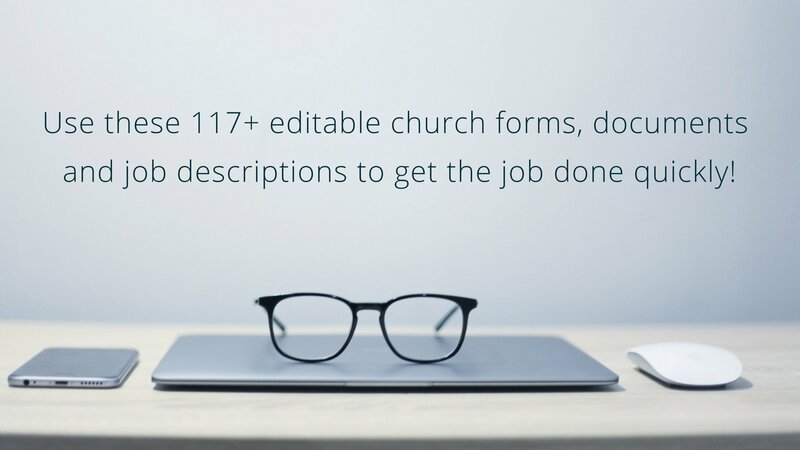 This includes looking at those strategic objectives that require financial support and allocating dollars to support church goals. For example, if the vision results in a strategy that includes outreach to the poor, dollars should be allocated for the development of an outreach program. This may include funding for administrative oversight, supplies and marketing materials. Spending decisions will be made as dollars are allocated to fund the different strategies of the church and using wisdom in that spending is critical to good stewardship. A decision model that helps with prioritizing spending is asking the question, is this something we want, need or have-to-have? In other words, is this something we would like to spend money on that we would like (want) for the strategy, is this something we (need) to purchase or is this spending mission critical (have-to-have) to implement the strategy. For example, developing an outreach program may require purchasing equipment and a decision may be made to purchase a new or used piece of equipment. The goal would be to get the best value for the dollar without sacrificing quality. It does the church no benefit to buy a used computer that only lasts a year when spending a few more dollars will ensure the computer is around for several years. A church budget guides spending decisions, but it is also important to make sure that those budgeted dollars are spent on those things that it was allocated for. This requires a budget review process that ensures that monthly spending does not exceed the monthly allocated dollars. A budget review or finance committee would be the right group to do this. If there are variances in the budget they should be addressed and reconciled on a monthly basis. This helps to ensure there are no surprises at the end of the year. Decision making for spending ministry resources should always be made with the best interest of the organization in mind. This means ensuring that comparisons are made when making large purchases or securing vendor relationships. A good rule of thumb is to get three bids and choose the vendor with the best quality for the price. Cheapest isn’t always better if the product or service is inferior. Allowing family, friends and members to bid is ok as long as vendor negotiations and decisions are made in the best interest of the church – not the friend. Every organization should be good stewards with the resources, but the church needs to be held to an even higher standard since the resources they are given are from the sacrificial tithes of their members. We should never lose sight of the fact that this is God’s money!